When General Leclerc’s troops entered Paris to save the uprising by the Resistance, they were greeted by the wildest scenes of joy ever witnessed in modern times. Next day – 26 August 1944 – half the population of the city converged to watch General de Gaulle’s triumphant progress from the Arc de Triomphe to Notre-Dame. The spirit of freedom was intense, but celebration was edged with revenge. Marshal Pétain’s regime was now cursed. Scores were settled in a rough and uneven justice, while black marketeers grew rich on the misery of the population. Yet a vibrant energy gripped the young of Saint-Germain and the Latin Quarter, who ignored hunger as they argued through the night in a tumult of ideas. For the huge variety of foreigners arriving – journalists, writers, artists and diplomats – rediscovering the most elegant city in the world was pleasure enough. Theatre, haute couture and the society that enjoyed them sprang back to life with renewed vigour, and in smart restaurants the headwaiters who had bowed to the Germans now welcomed back their old customers. 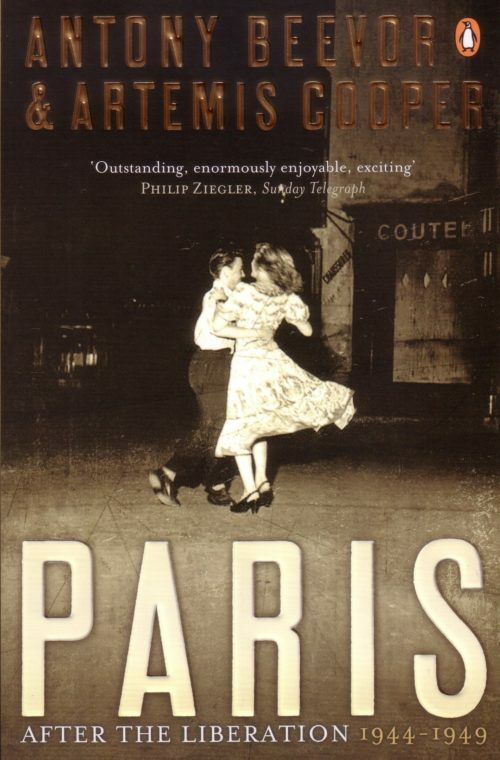 Paris after the Liberation is a social, political and cultural history of this extraordinary period, an epoch charged with powerful and conflicting emotions and intellectual change. Against a fascinating and dangerous political background, every aspect of life is portrayed in relief – the atmosphere of the street, of cafés, restaurants and night-clubs, fashion houses and salons and painters’ studios. Hemingway, Jean-Paul Sartre and Simone de Beauvoir, Camus, Picasso, André Malraux, Gertrude Stein, Samuel Beckett, Louise de Vilmorin, Gaston Palewski, Nancy Mitford, Duff and Diana Cooper, Jean Cocteau, Kim Philby – as well as the major political figures, such as General de Gaulle and Maurice Thorez – are just some of the characters brought to life in this synthesis of contemporary history, reportage and vivid description. United States Penguin Putnam Inc.